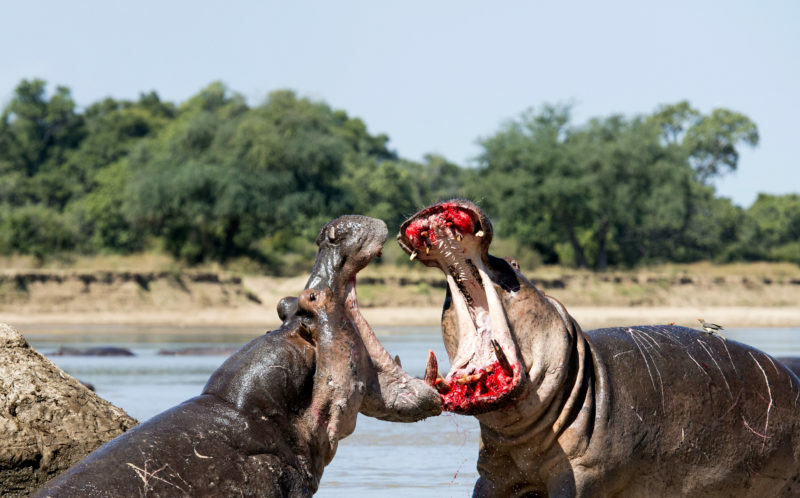 Hippopotamus Fight - Incredible images of bloody hippo clash! 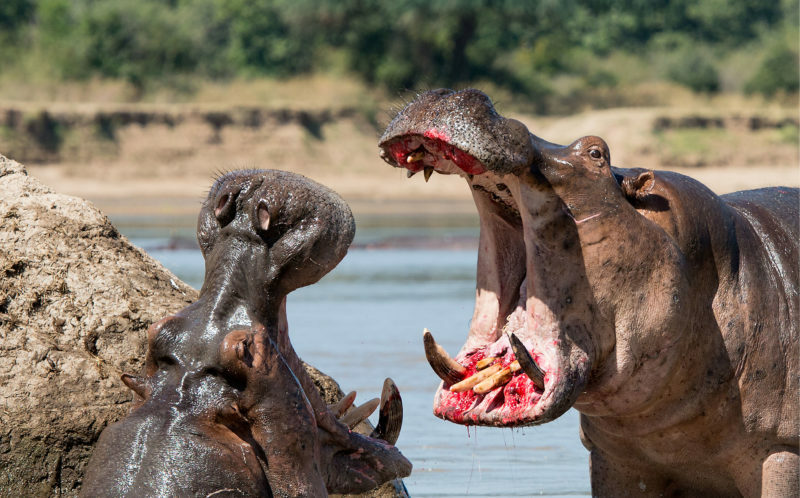 See the incredible images of angry hippos sporting bloody lipstick due to damaged gums. 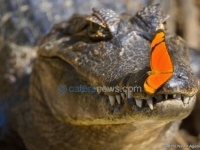 The huge beasts can be seen ferociously protecting their territory in the densely populated Luangwa River, Zambia. 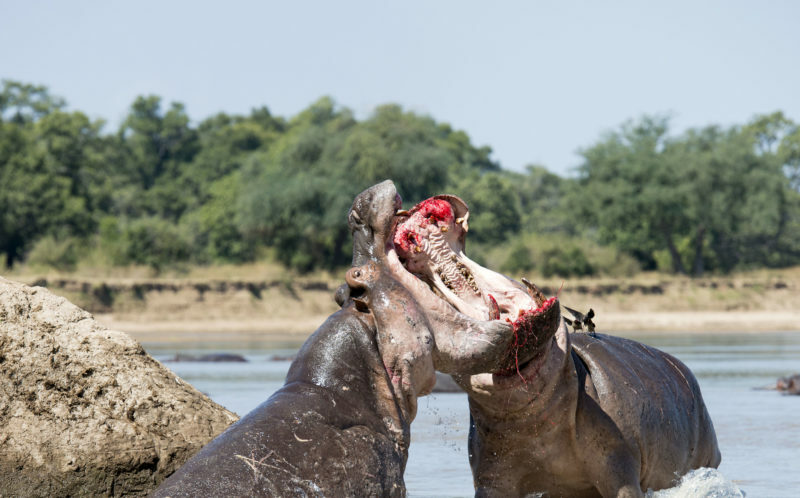 Fight and Travel photographer Joe Witkowski, 66, from Missouri, captured the hippos aggressively duking it out. 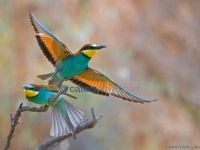 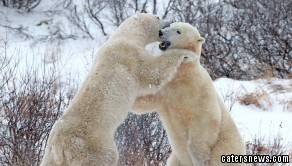 The photographer fearlessly got up close to witness the exchange first hand on a good photo spot along the river. 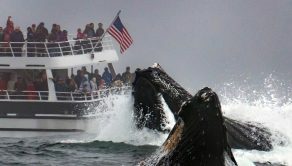 The bull hippo can be seen guarding his small section while the bachelor prepares to attack. 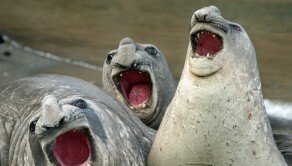 Joe said: “I loved capturing the brutality of these hippos with their huge teeth on show.